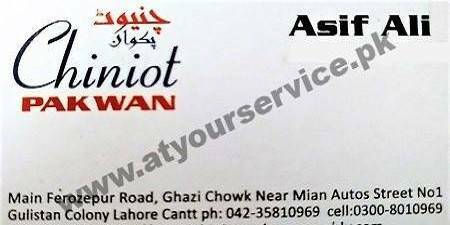 Chiniot Pakwan is located on Ferozepur Road, Ghazi Chowk, Gulistan Colony, Lahore. We deal in all kind of Pakistani Food, Chinese Food, Afghani Food and Russian Foods. Our name is our brand for quality and tasty foods.